Robert Bruggeworth is president and chief executive officer of Qorvo. Prior to the merger of RFMD and TriQuint to form Qorvo, he served as president and chief executive officer of RFMD from January 2003 to December 2014. He was previously president of RFMD from June 2002 until January 2003. Before this he was also vice president and then president of RFMD's wireless products group. 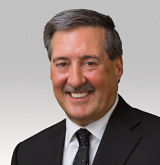 Prior to joining RFMD in September 1999, Mr. Bruggeworth held various leadership positions at AMP Inc., a supplier of electrical and electronic connection devices, from July 1983 to April 1999, serving most recently as vice president of global computer and consumer electronics, based in Hong Kong. He serves on the board of directors of the Semiconductor Industry Association (SIA) and MSA Safety Incorporated, a leader in the development, manufacture and supply of safety products that protect people and facility infrastructures. He is a graduate of Wilkes University, Wilkes-Barre, Pennsylvania. Mark Murphy is Qorvo's chief financial officer (CFO), responsible for finance, investor relations and regulatory reporting. Mr. Murphy joined Qorvo as CFO in June 2016. He was previously executive vice president of Delphi Automotive PLC, a large high-tech company serving automotive markets. Mr. Murphy joined Delphi from Praxair, Inc., a global industrial gas supplier, where he was president of the U.S. Industrial Gases business and, before that, president of Praxair's Surface Technologies and Electronic Materials division. He previously served as senior vice president and CFO of MEMC Electronic Materials, Inc., corporate controller of Praxair, president of Praxair’s Electronics division and vice president of finance for Praxair Asia based in Shanghai. Mark began his career as an officer in the U.S. Marine Corps and received an MBA from Harvard University and a bachelor's degree in business administration from Marquette University. Steven "Eric" Creviston is president of Qorvo's Mobile Products, responsible for mobile product marketing, R&D, design centers, pricing, sales and specialized sales support. 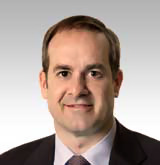 Prior to the merger of RFMD and TriQuint to form Qorvo, Mr. Creviston was corporate vice president and president of RFMD's Cellular Products Group from June 2002 to December 2014. He previously served as divisional vice president of RFMD's communication semiconductor division from May 2001 to June 2002, and prior to that he served as product line director of RFMD's Nokia product line. Before joining RFMD in 1994, Mr. Creviston was employed by Teledyne Electronic Technologies in Mountain View, California, from October 1987 to November 1994, most recently in the role of commercial products manager. He received his MSEE from the University of Illinois, Urbana. Paul Fego is Qorvo's corporate vice president of global operations, responsible for internal and external wafer fabrication, assembly & test technology and manufacturing. Mr. Fego joined Qorvo in July 2018 and was previously vice president and manager of the Worldwide Manufacturing group at Texas Instruments (TI). In his previous role, Mr. Fego managed all of TI's wafer fabrication, assembly and test operations in nine countries. He started his career at TI as a manufacturing supervisor in 1980, rose quickly through the ranks to become manufacturing manager and then left in 1989 to become operations director at ST Microelectronics. In 2002, he became president and chief operating officer at Photronics, Inc., a global leader in photomask solutions for companies that manufacture semiconductors, flat panel displays and other electronic components. He was recruited to return to TI in 2005 to lead its worldwide manufacturing. Mr. Fego earned a bachelor’s degree from Rutgers University. Jamie Flinchbaugh is corporate vice president of Qorvo's lean journey. He helps drive lean initiatives across all Qorvo functions. Jamie was previously Qorvo's lean executive consultant, advising and coaching the leadership team to help create a culture of lean throughout Qorvo. Jamie is co-founder and partner of the Lean Learning Center and has helped build nearly 20 companies as a co-founder, board member, advisor or angel investor. He has advised over 300 companies on their lean journeys - from the board room to the factory floor - including a range of companies from BMW to Harley-Davidson and several leading semiconductor companies. Jamie is the co-author of “The Hitchhiker's Guide to Lean" and a frequent contributor to IndustryWeek and other publications. He earned an MS in Engineering and an MBA from Massachusetts Institute of Technology, MS in Engineering from the University of Michigan, and a BS in Mechanical Engineering from Lehigh University. Brandi Frye is Qorvo's corporate vice president of marketing, responsible for Qorvo's corporate brand. She leads the strategy and execution for worldwide product promotions, public relations, corporate communication and employee engagement. Prior to the merger of TriQuint and RFMD to form Qorvo, Ms. Frye was TriQuint's senior director of corporate marketing and communications, a position she held since January 2007. Formerly with Intel from 1994 to 2007, she held various positions of increasing responsibility in marketing and product line/program management, most recently as director of marketing responsible for $8 billion of branded product sales through Intel's 70,000 channel members. Ms. Frye serves on the board of directors for Girls Inc. of the Pacific Northwest, empowering all girls to be strong, smart and bold. She earned a BS in Business from Linfield College and an MBA from George Fox University. Gary Grant is Qorvo's corporate vice president of quality, responsible for all corporate quality functions including customer quality, supplier quality and failure analysis/reliability labs. Prior to the merger of TriQuint and RFMD to form Qorvo, Mr. Grant was RFMD's corporate vice president of quality assurance, a position he held since joining RFMD in November 1998. Mr. Grant was previously with ST Microelectronics from 1995 to 1998 as the director of quality for the Americas and director of facilities for the Carrollton, Texas, plant. He was previously with Texas Instruments from 1980 to 1994 where he held positions including process engineer, engineering management and quality management. He earned BA and MS degrees from Rice University as well as an MBA degree from the University of Texas at Dallas. 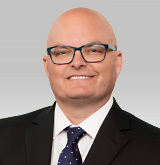 Jeff Howland is Qorvo's corporate vice president and general counsel serving as secretary to Qorvo's Board of Directors. He is responsible for all corporate legal matters, including legal filings, intellectual property (IP), technology licensing, contracts and litigation activities. Mr. Howland joined Qorvo in 2015 after serving more than 20 years as outside counsel to RFMD while he was a partner at Womble Carlyle, one of the largest and most technologically advanced business law firms in the mid-Atlantic and southeastern U.S. During his 28 years at Womble Carlyle, he provided counsel to C-level executives for both publicly traded and private technology businesses, including semiconductor, software and life science companies. Prior to this he was an attorney with Houston-based legal firm Baker & Botts, concentrating on corporate and securities work for publicly traded oil and gas companies. Mr. Howland earned his JD degree from the University of South Carolina School of Law and a BA in economics from Wake Forest University. James Klein is president of Qorvo's Infrastructure and Defense Products (IDP), responsible for IDP product marketing, R&D, design centers, pricing, sales and specialized sales support. Prior to the merger of TriQuint and RFMD to form Qorvo, Mr. Klein was TriQuint's vice president of Infrastructure and Defense Products, a position he held since 2012. Mr. Klein joined TriQuint in July 2011 as vice president of Defense Products & Foundry Services and was responsible for strategic direction, product roadmap and technology development. Before joining TriQuint, Mr. Klein spent 13 years with Raytheon where he most recently served as the general manager of the Advanced Products Center for Raytheon's space and airborne systems. Mr. Klein was with Texas Instruments in program management and engineering roles within the Defense Systems Equipment Group from 1988 to1998. He holds both BSEE and MSEE degrees from Texas A&M University. Ralph Knupp is Qorvo's corporate vice president and chief human resources officer, responsible for developing and implementing the people strategy that supports the company's overall business strategy. Prior to the merger of RFMD and TriQuint to form Qorvo, Mr. Knupp was vice president of human resources for RFMD, a role he held since joining RFMD in 2004. Mr. Knupp was previously vice president of human resources for Varian Semiconductor Equipment Associates from 1999 to 2004. Prior to this, he was vice president of human resources for Reed Elsevier, Inc. He earned a PhD from Purdue University. Hans Schwarz is Qorvo's corporate vice president of business development and strategy, responsible for facilitating company-level strategy development and mergers and acquisitions (M&A). Prior to the merger of TriQuint and RFMD to form Qorvo, Mr. Schwarz was RFMD's corporate vice president of business development, a position he held since joining RFMD in October 2011. Prior to RFMD, Mr. Schwarz was with c365, Inc., a web-based energy analytic startup company he founded in 2009. From 2007 to 2009, he served as a managing director of a late-stage private crossover venture fund. Mr. Schwarz previously served in various management, business development and market development positions with Xilinx Inc., a supplier of software and programmable logic devices, from 1992 until 2007. From 1990 to 1992, Mr. Schwarz held various leadership positions in marketing and systems engineering at Chips & Technology, a fabless graphics chip provider that was later acquired by Intel. He earned a BSEE and computer science degree from Santa Clara University, where he also performed graduate engineering work.